9. Rinse the affected area thoroughly with cold water, and blot with a dry cloth until all of the cleaning solution has been removed. Some cleaning solutions will cause rapid soiling if the solution is not completely removed. If the stain can’t be lifted, despite your best efforts, give us a call at Great American Chem-Dry. 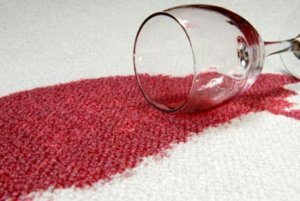 We specialize in removing stains from carpets! Arm your home with Chem-Dry World Famous® Spot Remover for Water-Based Spills and World Famous® Grease & Oil Remover for oil-based spots. Ask your technician to purchase a can.